Election results for Vice Presidential race will be posted here. 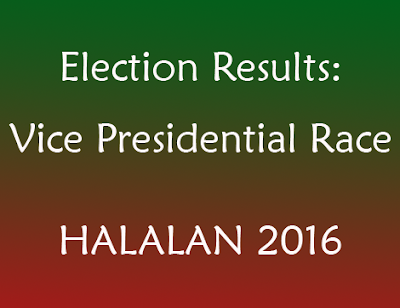 As of 4:45 AM, May 13, 2016, here's the unofficial election results for Vice-President. As of 5:45 AM, May 11, 2016, here's the unofficial election results for Vice-President. As of 1:45 AM, May 11, 2016, here's the unofficial election results for Vice President. 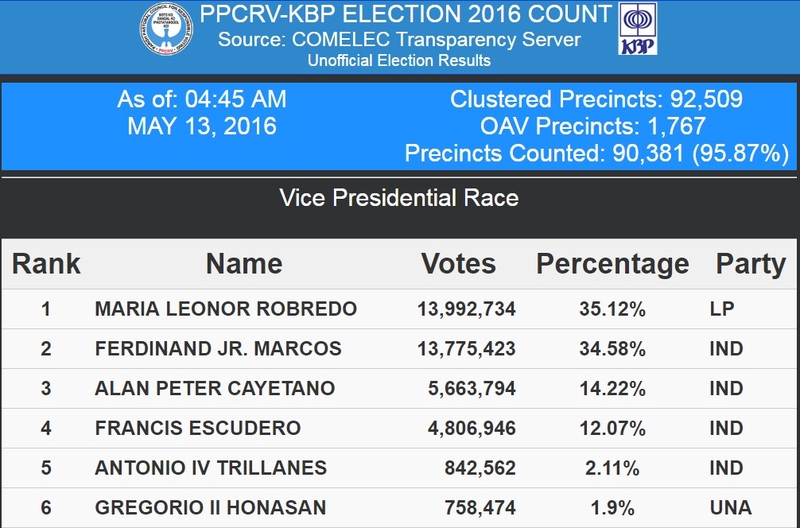 With approximately 5% remaining of the total clustered precincts not included in the election results for vice president, Leni Robrero of Liberal Party (LP) is still leading the race with 13,873,149 votes, that is 229,710 votes more than the closest rival Bongbong Marcos (IND) with 13,643,439 votes. 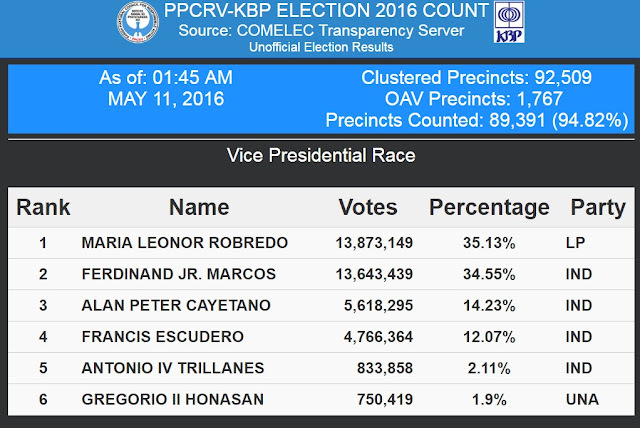 On the third spot is Alan Peter Cayetano, followed by Francis Escudero, Antonio Trillanes, then Gregorio Honasan, respectively. The unofficial results were published in PPCRV (Parish Pastoral Council for Responsible Voting) website with data coming from COMELEC Transparency Server.